As “the world’s leading resource for online family history and genealogy,” Ancestry provides access to a large and diverse collection of online genealogical databases to help research your family’s history. The Ancestry Library Edition provides an exceptional array of information, beginning with census, birth, marriage, death, military, land, and immigration records. Ancestry Library Edition does not include every feature and database provided by the Ancestry edition available to individuals at home. Learn more about the differences. 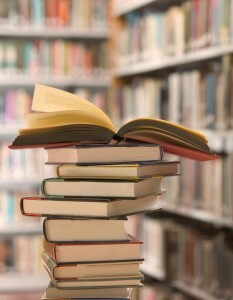 The Library provides access to Ancestry Library Edition on site but access is not available from home. Patrons may access the database by connecting to our wireless Internet with their laptops. Access Ancestry while in the library. HeritageQuest Online is available via researchIT CT for use wherever you find most convenient. The information supplied by HeritageQuest provides a great starting point if you are just beginning to research your family history. This database enables access to 1790-1940 U.S. Federal Census Records, Mortality and Non-Population Schedules, Indian Census Rolls, a collection of genealogy and local history books and city directories, Freedman’s Bank Records and more. Content is supplied by Ancestry.com. Learn more about HeritageQuest resources. HeritageQuest Online is available through researchIT CT, Connecticut’s digital research library. If you are accessing the database from home, you will need to sign in by using your library card barcode. As your research progresses, you may find both resources helpful in locating information about your family history. Although both Ancestry Library Edition and HeritageQuest Online provide access to some of the same databases, Ancestry Library Edition is easier to search and allows access to the American Genealogical Biographical Index; HeritageQuest provides two resources not included in Ancestry – the US Serial Set (Acts of Congress) from 1789-1969 and the Periodical Source Index. 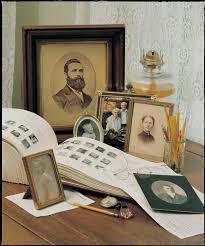 The USGenWeb Archives provides an online repository of genealogical information. The Connecticut arm of the project, CTGenWeb, supplies “important links for researchers and volunteers.” View the web page dedicated to Connecticut resources here. Family Search is a free resource provided by The Church of Jesus Christ of Latter-Day Saints. The site features a search for historical records. The National Archives provides information supporting family history research, including online learning resources and access to online genealogical records. With an emphasis on Connecticut resources, the State Library’s “History and Genealogy” web portal provides links to subject guides, online databases, and quick links to assist with family history research. In addition to their library in Middletown, the Godfrey Memorial Library maintains a website which provides information and resources to assist with genealogy, history and biography research. “Genealogy Online” is a bestselling research guidebook which presents “up-to-date methods and tools” to help you plan and organize your search for genealogical information. The sixth edition of “Genealogy Online for Dummies” is “loaded with updated information about international record sites, new tools, tracking your DNA and more” to help you begin the search to discover your family history. This handbook presents the US records available for genealogical research and details how they can assist you in your search to uncover your family history. The Essex Library recently hosted a series of classes designed to introduce patrons to Ancestry.com Library Edition. The class handout lists free historical and genealogical online resources.